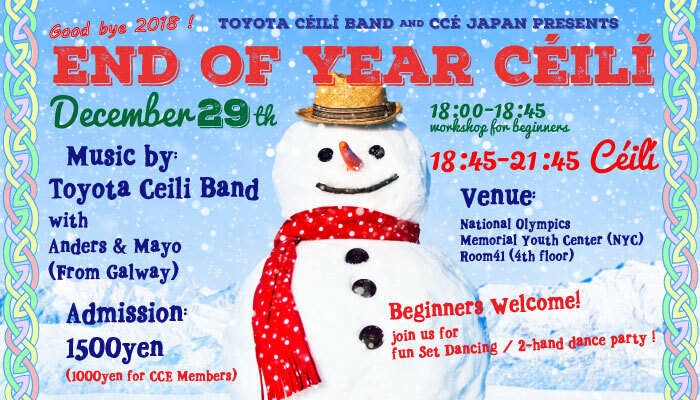 Join us for the End of Year Céilí 2018 with Toyota Ceili Band on 29th Dec.
2 energetic musicians from Galway join the band this day! If you’re hegitating haven’t danced before, no warries! 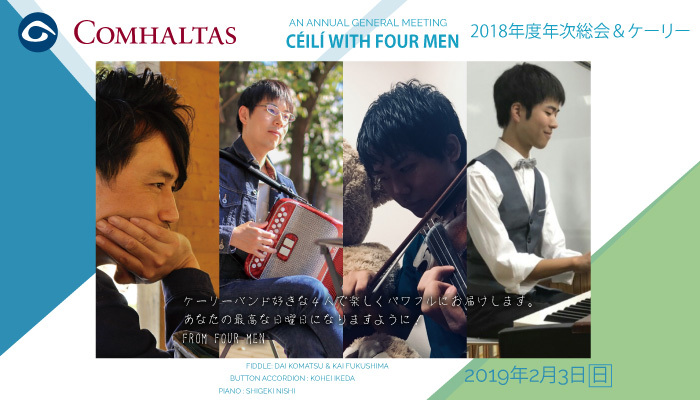 We have beginner’s workshop at the beginning for 45min. Why don’t you bring your family and friends and enjoy Irish music and dance together!